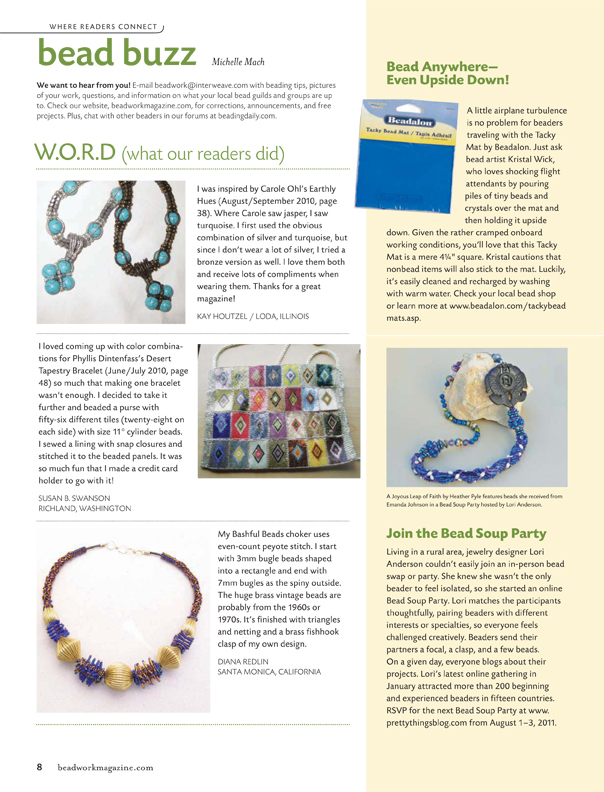 Thanks to Michelle Mach's writing, the Bead Soup Blog Party got a lovely write-up in the June 2011 edition of Super BeadWork magazine. The article in Bead Buzz talks about the upcoming Bead Soup Blog Party, with sign-ups August 1-3, and features a necklace made by Heather Pyle from a Bead Soup sent to her from Emanda Johnson. I'm so thrilled to see the excitement of the Bead Soup Blog Party get out to an even wider audience and I'm hoping this next party will be even more festive than ever before! I have plans in place to create an easier way for blog hoppers to navigate and get a quick glimpse of the jewelry before clicking to each blog -- if things work out the way they should, this not only make for less stress but will also give a permanent place, here, in this section of the Pretty Things blog, for everyone's creation. 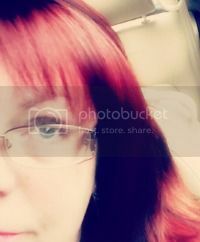 Until then, visit the post below, grab the blog hop button for your own blog, and get those creative ideas going!